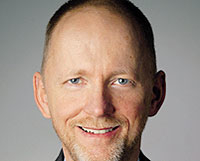 Guido Reinking is editor of Automobilwoche, a German sister publication of Automotive News Europe. The weak euro is a blessing for the German auto industry and the best stimulus program it could wish for. For years, the weak dollar has hit the profits of BMW, Volkswagen, Audi and Porsche. Take a look at the cars in the "for sale" sections in U.S. newspapers. The price difference between Germany-built cars sold in the United States and those sold in Germany is astonishing. The Audi Q7 crossover is advertised in the United States at a price that would hardly buy an A4 in Germany. The Mercedes-Benz E class is offered for the price of a C class, and the BMW 3 series sells in the United States for the price of a Mini in Germany. But now the euro's weakness is reducing the price differential between the two sides of the Atlantic. German automakers that sell cars in the United States should thank European countries such as Greece, Spain and Italy, whose poor economic performance and high national debt have helped weaken the euro. German automakers will reap 5 billion euros (about $6.2 billion) in extra profits in the next three years because of the weak euro, says Ferdinand Dudenhoeffer, a German automotive academic. The weak euro is a much bigger stimulus program for German automakers than the Berlin government's cash-for-clunkers incentive scheme. It's also a boost that Asian automakers are not enjoying, nor European volume automakers from Italy or France that don't sell cars in the United States. The lack of U.S. manufacturing for companies such as Audi, VW and Porsche has become a strength. BMW is justified in saying it makes sense to offset currency fluctuations through "natural hedging" -- that is, the production of vehicles in the United States, the United Kingdom and Asia over the long term. But German automakers should make sure they plow the extra profits from the current "export bonus" into meeting the challenges of the future. They should invest in advanced technologies, including ways of achieving better fuel economy and lower carbon dioxide emissions, and pump cash into developing more attractive cars.